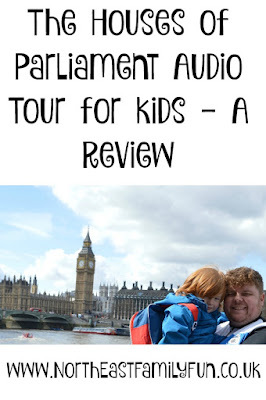 Visiting the Houses of Parliament has always been on my bucket list and although I have visited London on numerous occasions I have never managed to schedule a visit in due to one thing or another. 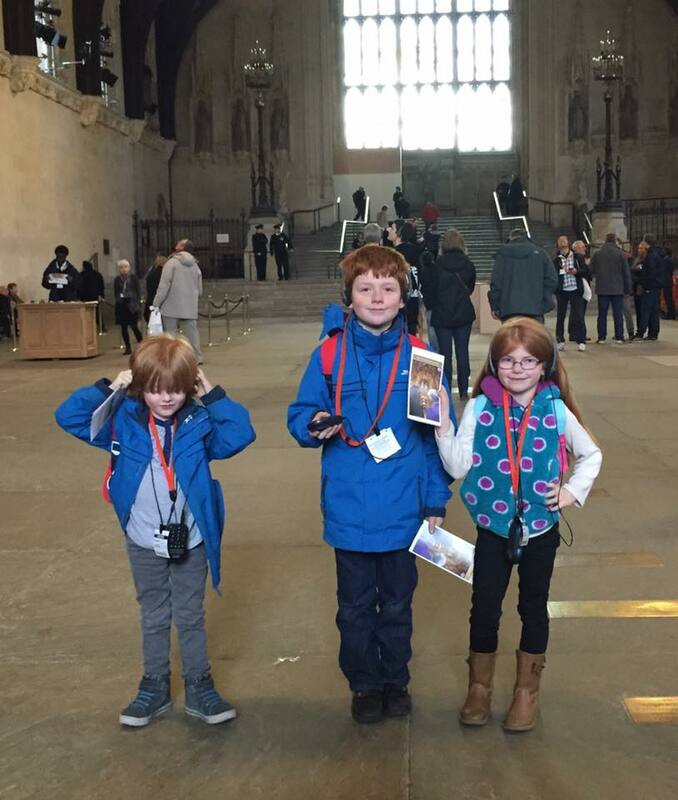 We were invited to visit last year but unfortunately couldn't make it so we vowed to make a visit a priority in 2016 and took the Houses of Parliament up on their offer during the Easter Holidays. 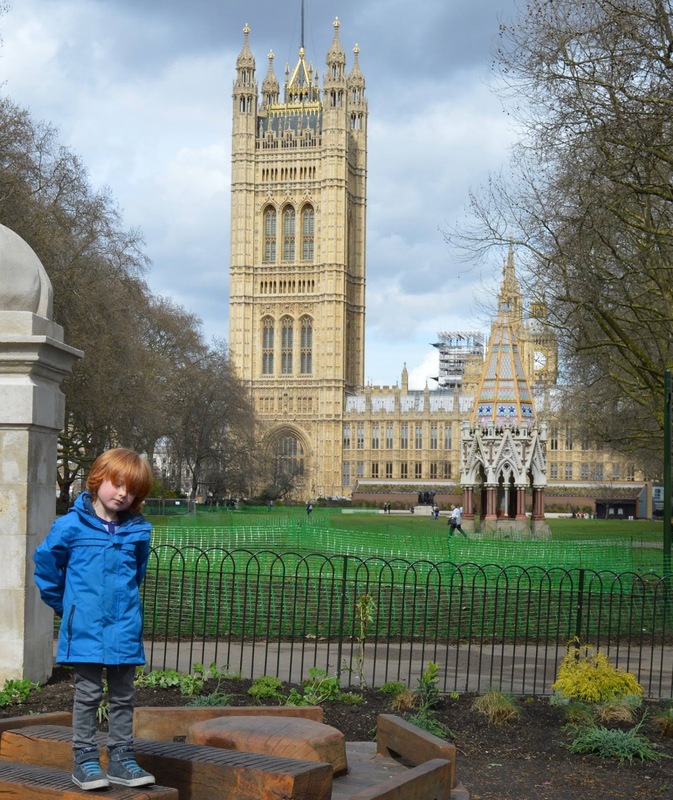 Just a quick note to say we started our visit with a trip to Victoria Tower Gardens. We'd never been here before and it was a lovely quiet Royal Park in the heart of Westminster and around a 5 minute stroll from the visitor entrance. We stopped for a picnic here before a tour and I'd highly recommend as a spot to escape the hustle and bustle of the city and let the kids burn off some energy before/after your tour. I did worry that the presence of armed Police Officers may overwhelm my children but they weren't at all phased. In fact all of the Police Officers we encountered were super friendly. You are asked to take your booking reference/tickets to the visitor entrance and are given a short security briefing by a Police Officer. You are then searched and given a visitor pass to wear, your bags are passed through an airport style X-ray machine and you then walk through a scanner. This all sounds like a lot but the whole process was over in less than 5 minutes, it was super speedy. Once inside you head over to your tour desk and pick up your guide. We all selected the family audio tour (including myself and Steve). 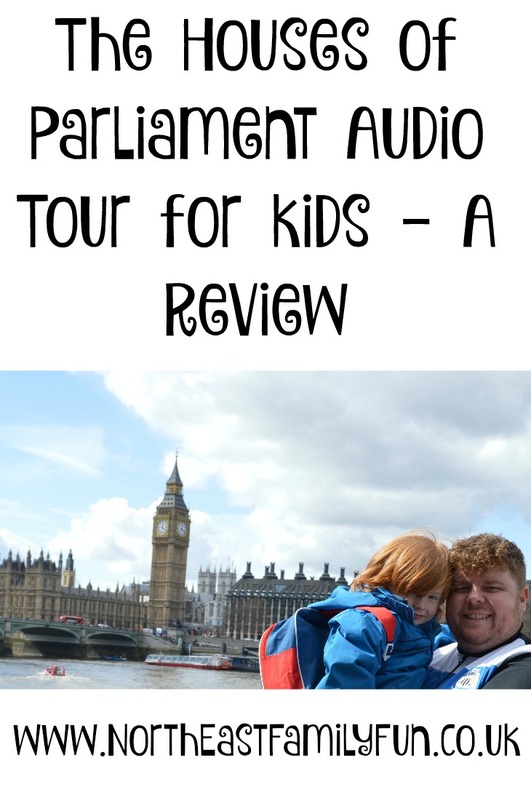 We did this at Buckingham Palace a few years ago and it works well I think when you are listening to the same tour as your children. 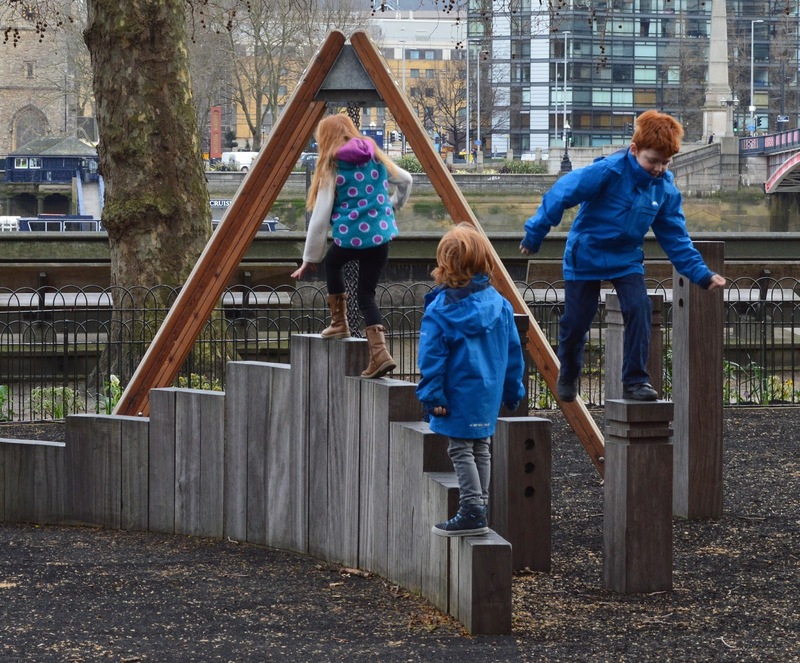 The guide is aimed at children aged 7 - 12 years old and isn't at all 'babyish'. The equipment is super easy to use and my 5 year old managed just fine (basically, when you see a number in a room, press it on your keypad). St Stephen's Hall was stunning and I am so pleased we were able to take a few photographs in here. When you spot a sign such as the number 4 above, you press the corresponding number on your keypad and listen to the commentary. I honestly believe you learn from experience and it was wonderful learning about some of the processes of Parliament whilst actually standing there. I didn't realise for example that if there is a 'vote' in Parliament a bell rings throughout the building and MP's then have 8 minutes to cast their vote. If they don't make it, the door is slammed in their face! 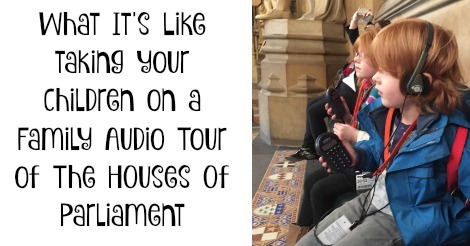 (LOL) The audio tour really brought Parliament to life and we could hear MP's running down the lobby we were sitting in to cast their vote. I know Steve enjoyed learning about the history of Parliament and it was wonderful learning about past Prime Ministers, Kings and Queens. It was in fact Churchill that wanted to keep the House of Commons designed as it is today, with two parties facing each other. He believed this would encourage strong debate which would help to create the best laws possible. There also aren't enough seats for every MP as he believed MP's should want to attend Parliament and he wanted to make it as appealing as possible. I didn't realise every seat had a little reservation sign on should you wish to reserve your seat for an important debate and there is a speaker built into every seat too so MP's can hear clearly. 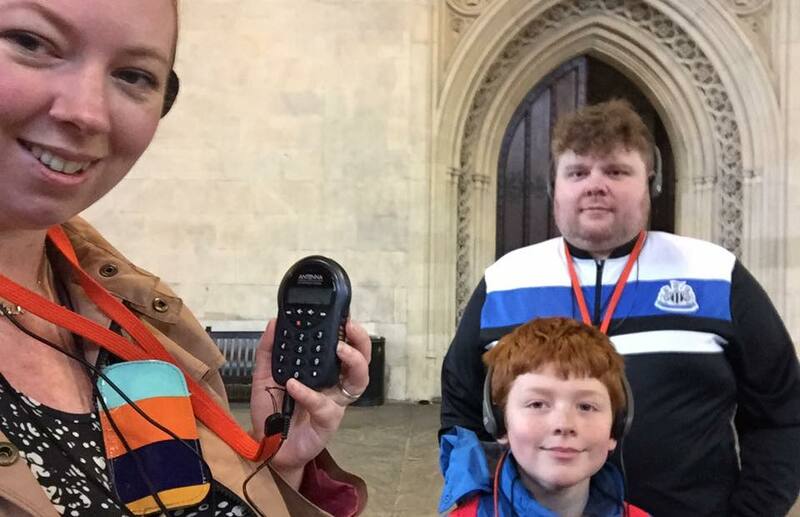 I liked how the audio tour encouraged children to get more involved with politics - there was advice on how to lobby your own MP about an issue that was important to you and information about how to attend a debate for free in the public gallery. It even went as far as to inspire them to stand for MP themselves which can only be a good thing. 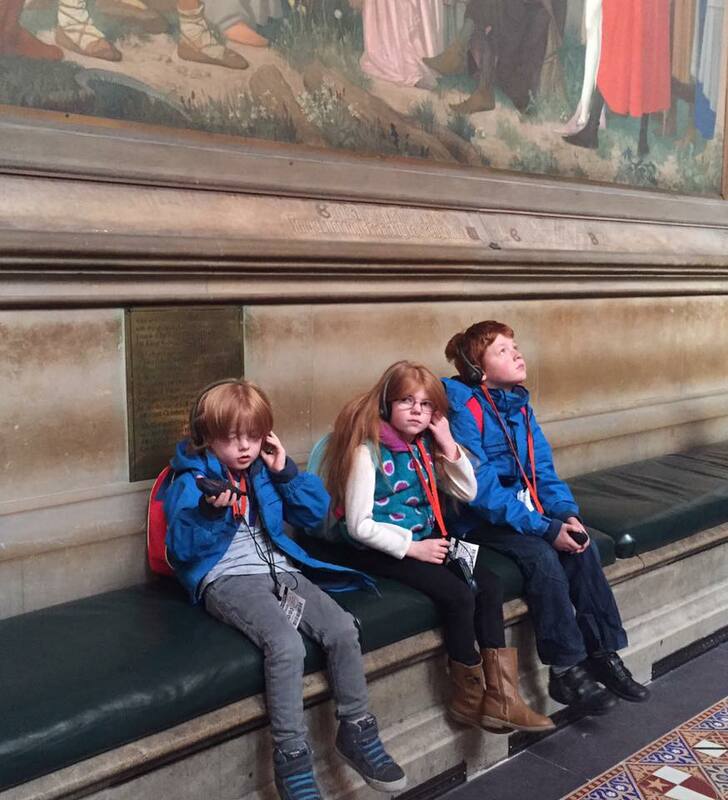 Relevant issues were discussed such as their education and Harry and Heidi listened intently to every word. You take the audio tour at completely your own pace and it wasn't crowded at all. There are fun quiz questions too which we had fun competing against each other. There aren't designated seating areas in all of the rooms but there are 5 seating areas throughout the tour and you are never far from a seat if you need one. Jack (aged 5) managed up to around prompt 13 before starting to get restless. 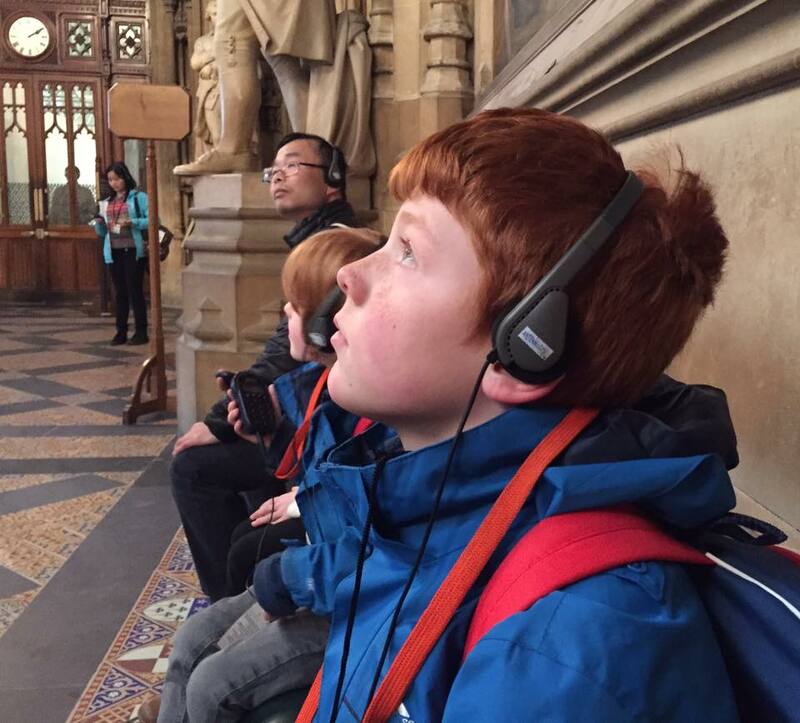 I appreciate that the audio tour is recommended for children aged 7+ so I think he did well to last this far. What I did like is that I was able to take him to seated area when he needed a rest (or time out) and we could still listed to the tour together so our experience wasn't spoilt at all. 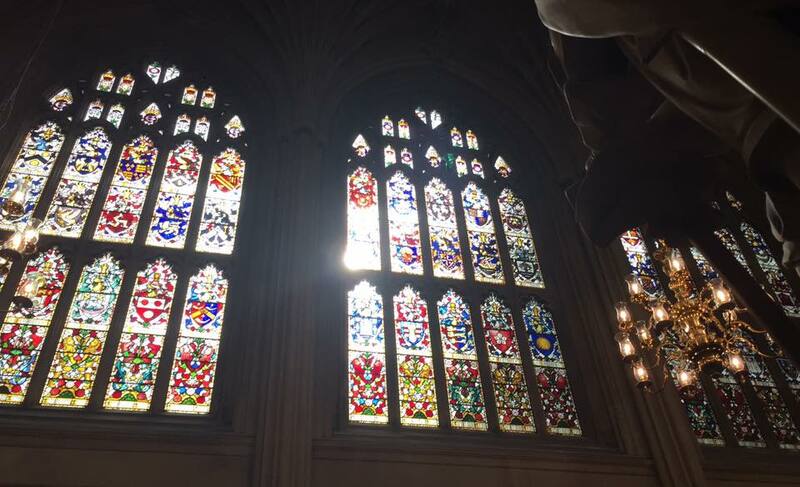 I'm not sure which was my favourite room - I think the audio tour really brought the House of Lord's to life but I think it was probably the Commons Chamber I enjoyed the most as this is after all one of the most iconic parts of the building I think. 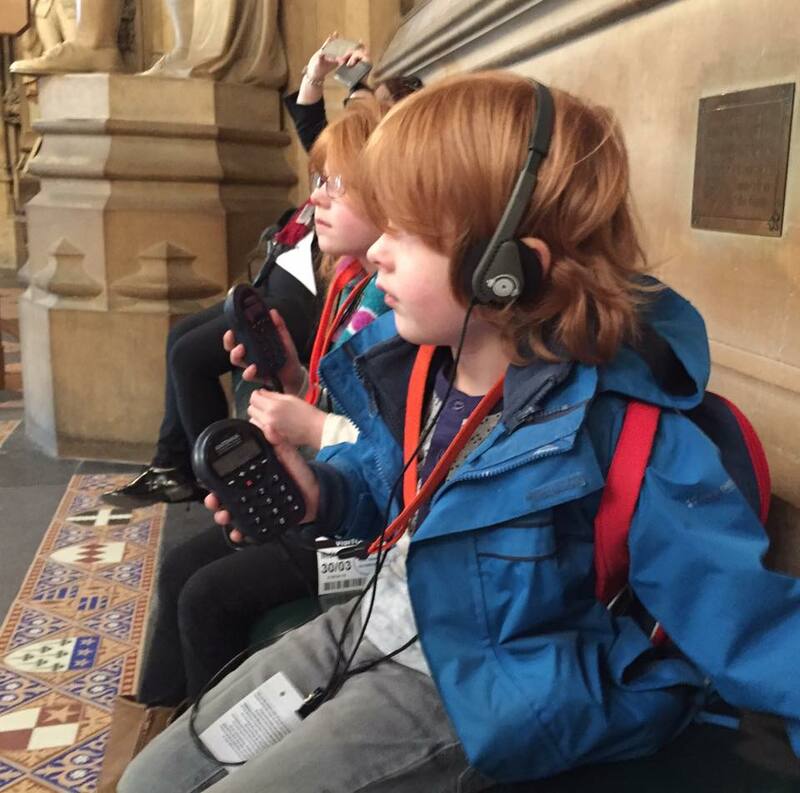 Audio tours are available on most Saturdays and parliamentary recesses (we visited during Parliament's Easter break). Entrance costs £18.50 per adult and includes one free child which is good news for families. Under 5's are also free (but still require a ticket). The commentary is available in various languages. 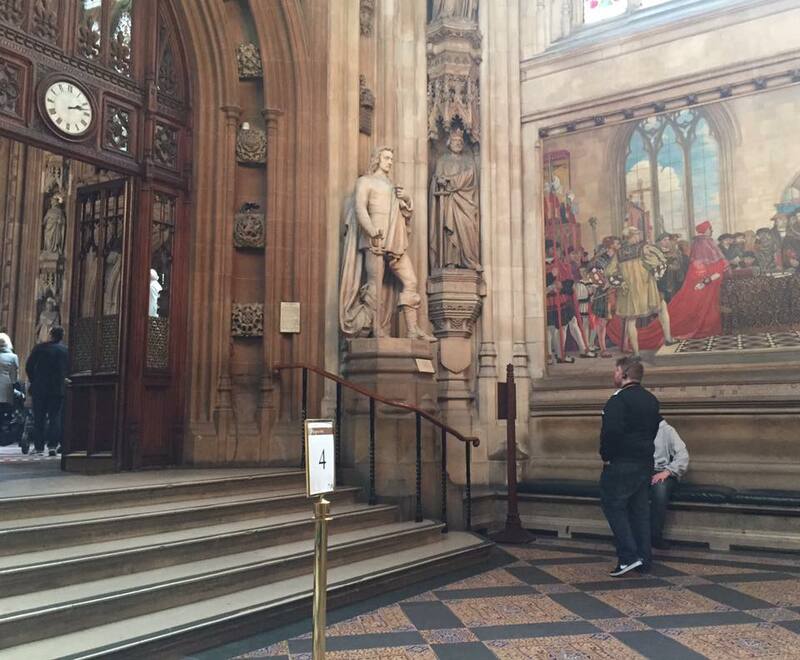 Find out more and pre-book a ticket via the Houses of Parliament website. 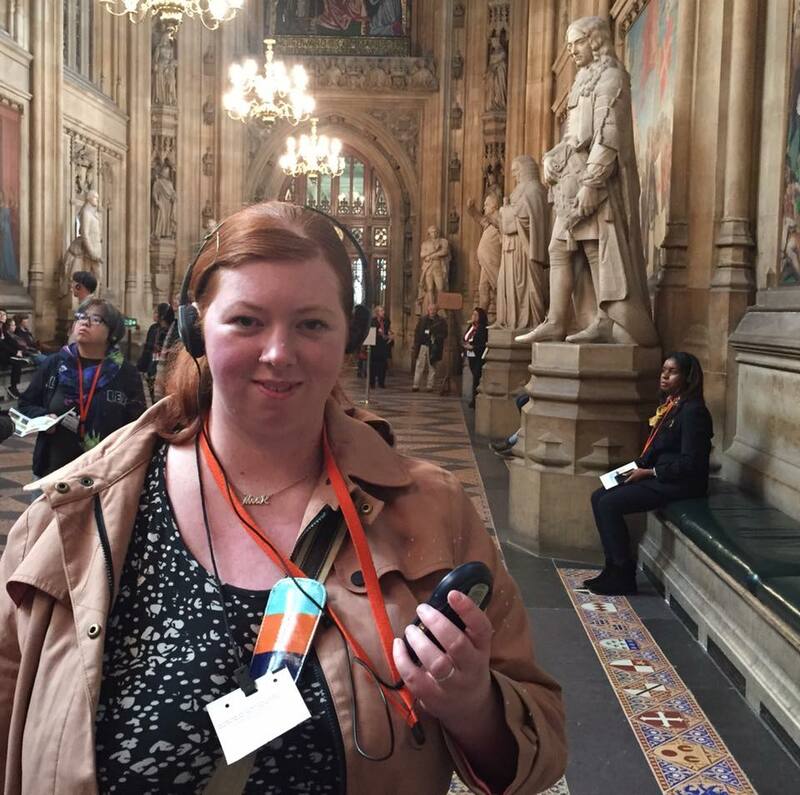 We were guests of The Houses of Parliament - all thoughts, words and views are our own. I've never been and for some reason never thought to go when I was living in London, I didn't even realise you could do self guided tours .. doh! A definite one for the future! I lived in London for a year and didn't realise you could do this! I'll have to do it sometime. What a great experience for your kids. What a fabulous trip. I went on a school trip once but didn't really appreciate it that much at the time.